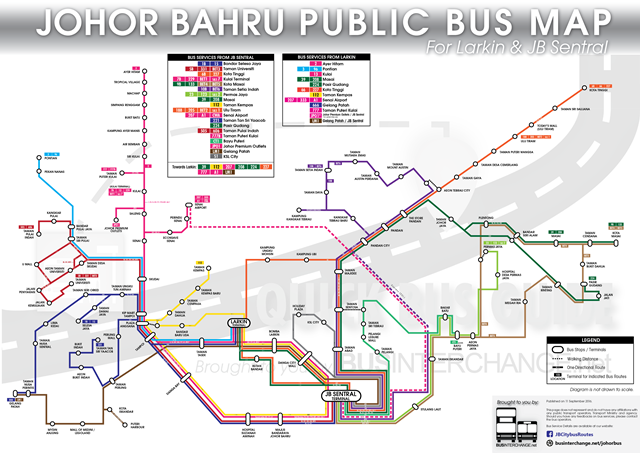 JB Central Line is a relatively new stage bus operator in Johor Bahru (JB), starting services in 2007/2008. Their fleet consists of second hand buses that are refurbished to make the buses look more attractive and comfortable. Buses registered under Red Bus Sdn Bhd operated on JB Central Line routes as well. As of June 2017, most of the buses bearing the original JB Central Line livery are no longer in used. Buses running the routes now are donned with the "707 Travel Group" livery instead. However, with the competition around, the buses operated has become lesser and lesser. Gradually, most of the bus services are no longer in operations.